#SMUGMONEY Passion, depression… and your pension? SMUG MONEY is a series of comment blogs on trying to be good and do good with money. What has your pension got to do with a) your low level depression and anxiety about the world b) man-made climate change c) your low level depression and anxiety about your own future? Then, also this morning, a new wealth manager called Tribe Capital published a paper demonstrating the link between our emotional and financial lives. Simply put, what we own and where our money goes can affect how we feel. But also vice versa – how we feel can affect what we do with our money, our attitudes to money and wealth – how we see our position on the spectrum of haves and have-nots, how we manage our own saving, spending and debt, is pretty much ALL down to our emotions. Common sense has less to do with it than we might like to think, it’s how your past has shaped your feelings and beliefs, and how that translates into how you manage money, that really shapes your ultimate financial wellbeing. Put these two sets of findings together, and there may be interesting psychological reasons people aren’t saving enough for their futures. Perhaps where they are putting their money is not sufficiently stirring their passions and interests? Perhaps they were brought up thinking that they just “weren’t good with money”. However clear the connection between emotions and finances is when it is laid out, finances and emotions operate in separate spheres in our daily lives. The remit of the Financial Conduct Authority is not, after all, to recommend we all go to counselling, even if our finances could benefit from a bit of emotional healing. So it is up to us to join up those particular dots, while the regulator sticks to showing us the shortfall, in pounds and pence and suggests some actions we need to take. At lunchtime today, something else interesting happened that might just help to connect these dots: a pension platform called PensionBee launched a new ethical pension fund option, in addition to its suite of risk-adjusted pensions, called Future World. The reason this has a lot to do with a) getting people to save more for retirement and b) helping people who feel emotionally negative about finances to feel positive about it is that it very simply gives people the power to express themselves through money – the only power any of us really have in this world. It connects you, the saver, with what you are investing in, because pensions that are moved to the Future World fund will be helping to reduce CO2 emissions and investing in companies that have good and improving records on environmental and social issues. The feel-good factor of putting your pension in a fund that is geared towards improving the state of the world is really tangible – believe me. And incidentally, there is plenty of evidence to suggest that this approach will not leave you worse off financially. Many ethical pension options (for there are others) in fact outperform the default options. So, if people feel connected to where their money is going and interested in it, will they be inspired to save more? Does making a positive impact encourage normal pension savers to think more carefully about their own futures? To be honest, besides the total win of auto-enrolment, little else of what the pension industry has come up with to solve the problem of people not saving enough has worked. So it will be really interesting to see if an ethical angle – adopted en masse (cos why not?) might have some of the answers. 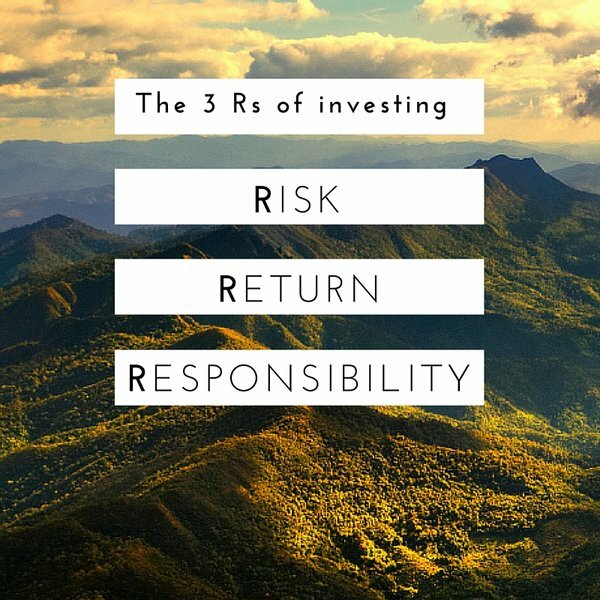 It certainly does for me – I’m much more interested in my own pension since this third – a lot more human dimension of responsibility was added to the traditional (and let’s be honest, dry) equation of risk, balanced against return. If we see money not as an abstract means to an end, but an extension of who we are as human beings, our likes, dislikes, passions and desires, we might surprise ourselves by becoming better at managing our own money in the process. It goes without saying that if a fund I invest in is financing solar projects in Africa, I’m much more inclined to put as much in it as possible (while obviously still weighing up the risks) than if I don’t even have the first clue what that fund is invested in. If we switch our thinking about pensions from this dreadful, weighty sense of obligation, accompanied by our darkest fears around our own mortality, to something utterly positive, uplifting and powerful (plus with an app for it, of course), perhaps we can save our own futures as well as the planet’s.